ST. GEORGE – With the majority of work behind them, crews on the Bluff Street Corridor Project are applying the final layers of paving to parts of northern Bluff Street and the area around the Sunset Boulevard intersection. In the Utah Department of Transportation’s weekly email update on Bluff Street Corridor roadwork sent out Thursday, the department highlighted that final paving work will begin on Sunset Boulevard between Bluff Street and Valley View Drive starting Sunday. It also notes work to be done on a retaining wall by the Sun Stone Condominiums beginning Nov. 5. While UDOT aims to have the project roadwork completed before Thanksgiving, work on landscaping along the roadway will carry though the end of November. 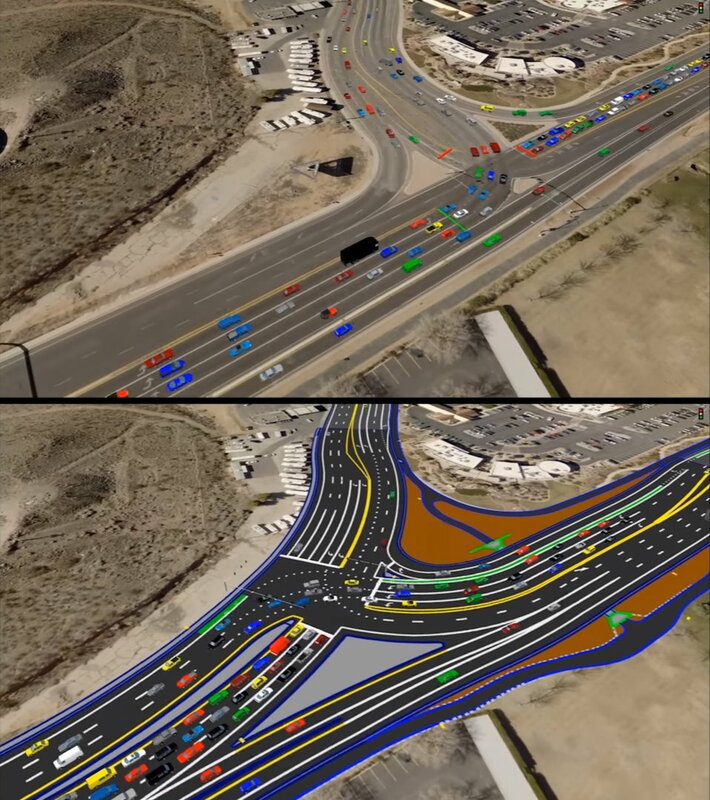 In the UDOT Oct. 19 update, the department reported the project at 90 percent complete. On Sunday, crews will begin the final layer of paving from Sunset Boulevard to Valley View. This work is planned to begin at 7 a.m. and go until 9 p.m. There will intermittent street closures along the corridor and of side streets during this process. St. George police officers will be on site to direct traffic. Striping and signal work will also take place on Sunday, through 9 p.m.
Beginning Nov. 5 and lasting for 10 days, crews will be performing finishing activities on the retention wall that runs along the back of the Sun Stone Condominiums, including power-washing, painting and placing an anti-graffiti coating. Residents of these condos should avoid parking in the parking stalls along the retention wall to protect their vehicles from any damage. Striping, signal light work, sidewalk installation, sign installation and trail work continues throughout the project. The final layer of paving is underway, and will continue through October. Expect traffic shifts as crews begin placing the final driving surface throughout the project. Pavement markings will also be placed beginning shortly after the final surface is complete. Night and weekend work will continue through October until all paving is complete. There will be nightly street closures during paving operations. Motorists are advised to allow a little extra time if traveling through the project in the evening/nighttime hours. Crews have removed asphalt and old base materials at Bluff Street and Sunset Boulevard and are constructing the grade that will complete the northwest portion of the intersection. Water connections to properties on the east side of Bluff Street are continuing from 500 North to 900 North. The trenching requires a short closure of accesses while the work is being performed. All stakeholders will be notified as to when they could be impacted. The speed limit through the work zone remains 30 mph. Anyone notice the newly minted paved drive curbs that are too small? For instance, the driveway to Bluff from Smith’s parking lot… they look built for cars smaller than a Prius. The LH turn from Diagonal to SB Bluff. I expect these to be christened black with tire rubber from our many F150 ++ trucks that abound. What computer program made them so tiny? Can people not measure? I’ve said for years that our parking lots, spaces, roads, and curbs were all built like we were Hobbits. At least the streets downtown and in old city are decent… Pioneers measured them so they could turn around a horse and buckboard mid-street. This is a slap in the face of those old timers.